Read on to find out everything about the Sofa Sack! Have we already mentioned that the Sofa Sack Plush Ultra Soft Bean Bag Chair is huge? With dimensions of 34 L x 72 H x 72 W it is even bigger than the Chillsack. Furthermore it is available in a fantastic 15 different color options to fit with your décor. Moreover it is filled with memory foam pieces instead of beans since this conforms to your shape and doesn’t dig into you. This memory foam filling reportedly adds longevity to the product. This also applies to the double stitching used in the composition and the attention Sofa Sack have placed onto load bearing capacity. These bags are 6 feet in diameter and will take up lots of space. They are perfect for a single adult or teenager, or two children at once. Despite its size this chair weighs in at 74 pounds total. 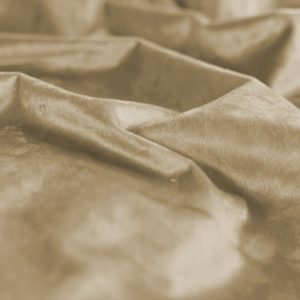 The fabric used for the cover is suede and it is available in smaller sizes. All of the bean bag chairs are round and are mainly designed for adults. This bag is marketed as ideal for adults, bedrooms or siblings to share. Astounding color range to choose from – 15 in total. Huge volume of beanbag chair to sink into. Comfortable, super-soft and suede finished. Durable memory foam filling that lasts. Reinforced zippers and double stitched lining. Cheap, affordable price for what you get. Actually, the bag is bigger than you might think. Although the product description says it will comfortably fit one adult, we found that it fits two with a little room to spare. Whether or not it could sustain this weight for a prolonged period we do not know. Once the foam interior is fully expanded it is absolutely enormous and perfect for sinking into and letting it envelope you. The price is good value for money and quite affordable for the amount of bean bag chair you get. The memory form contours to your body and also holds shape over time. Your bean bag shouldn’t need refilling as you might find with other models. Our opinion on the other features in the bag are also pretty positive. The color range and choice is astounding. The fabrics used are high quality and the foam used is dense, therefor extra supportive. When you buy the Sofa Sack you get a lot of product for your money – but you also get a durable product that has the added protection of double stitching for security. This is a big bag that is packed full of foam, sports sturdy zippers and can be chosen to match your interior decoration. It is exactly as big as it seems to be in the picture, and consumers can’t get enough. Verified purchasers are saying that it is the best bean bag chair they have ever bought. One client reportedly lay in a bean bag and became so enveloped that her partner did not know she was in the room. Other clients also report that the bag was almost fully expanded by three days. They also commented on the affordability of this beanbag chair for adults, with many confessing to going back for a second purchase. With all of these positives there were a few negatives mixed in there, so let’s take a look at the con’s next. It is a little heavy and difficult to move around the house. Hard to separate the filling to allow it to fully expand. It doesn’t have an inner lining or a machine washable cover. It will need moved once in a while to keep it from sinkage. There is a little online chatter about how hard it is to separate the foam filling when it first arrives. Apparently a few customers have experienced a full two week waiting time before the bag is fully expanded. When it arrives you must unzip the outer bag and break apart the inner filling. Customers reported that this fixed the slow expansion issue but that it was hard work, expressing concern that an elderly or infirm person might struggle to open and separate the foam in this model. The Sofa Sack Beanless Ultra Soft doesn’t have an inner lining to contain the memory foam, which means that you can’t whip off that touchably soft cover to machine wash it. You need to dab it clean with a damp cloth. Some customers have gone to the expense of buying a cover for it so that it doesn’t get dirty over time. They have also found that the bag will need to be turned once in a while to prevent the foam from holding your body shape. Memory foam does not have a lot of spring back as a substance, this makes you sink in and leave impressions and is no way a comment as to the quality of the bag. The bag is made from recycled memory foam, which some loved and some hated. Recycled foam has a tendency to off-gas and some clients found the smell of the bag in the first few days to be intolerable. That being said off-gassing is not toxic and is nothing to worry about. It should dissipate within 36 hours maximum. Finally, consumers found the 74lbs weight a little hard to drag from room to room. This model is portable – but only just. Again, the infirm might struggle with placement. This is a comfortable, over-sized bean bag chair for adults that ticks most of the boxes. Our opinion is that this is a good price for a good product, but that you may want to fork out for an additional cover just to add to longevity. It is a heavy bag and takes some work in order to expand it. It is suitable for adults but not for the elderly because of this, and also because it does not give good lumbar support as it is a lounger. Opinions and reviews on this bag are positivist for the most part. We found the few complaints were easily explicable and often quickly rectified. 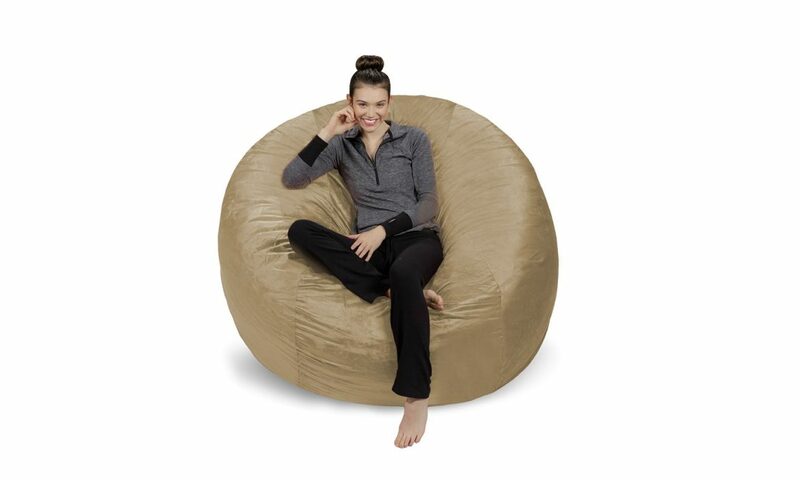 We recommend this Giant Bean Bag Chair for any room of the home and for most age groups. Please also make sure to check out our reviews of the best bean bag chairs on the market!